Splattering With Acrylics. Discover Form Within The Formlessnessnessness. Splattering with acrylics will be your new go-to technique when you’re feeling uninspired. Throw some paint around the place and see for yourself! Beautiful, vibrant colours. A range of different techniques, and a whole pile of painting possibilities. Splattering with acrylics is something that you should definitely investigate. Imagine a large, dark background, flecked with little pinpricks of various colors. Bam. Background for a beautiful night sky. 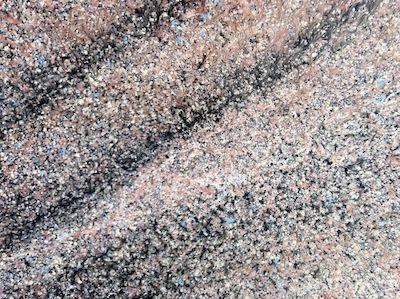 OR, lots of browns and reds, a hint of blue, splattered over a surface, voila - granite. 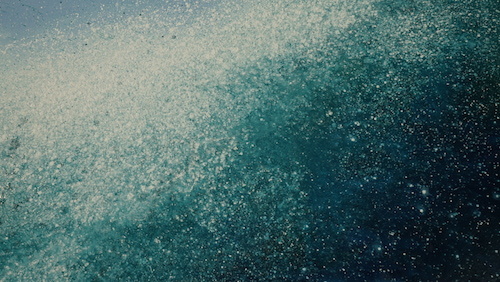 Maybe blues and flecks of greens, turquoise and whites splattered strategically to create the illusion of a crashing wave. First, choose the effect you want. Do you want lots of small spots of colour spread relatively evenly over a surface? Or do you want coverage with lots of paint, lots of movement and lots of color? The effect you want to achieve will be influenced by the consistency of your paint. Quality of paint. Do you want it to last? Do you want it to cover? Do you want it to flow? And do you like your pigments strong? Do you want the surface to dry flat? Or do you want some “build” and texture? Do you want to “control” the splatter? In other words, mask up some areas where you don’t want the splatter to go. Ok, so let’s start answering these questions! 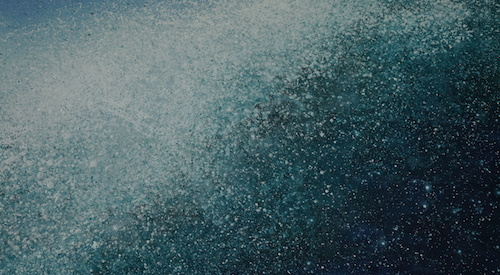 With something like a night sky scene as an example, your splattering with acrylics technique needs to be quite “fine” and “controlled”. To do this you need to mix the consistency you want - this will depend on the product you’re using. Poor quality acrylic paint will lose the intensity of the colour as you add water (or a medium). You’ll need a very dry brush and a fair amount of force to make these tiny dots. It’s better to make some that are too small first, and build up; than go in too hard, too soon. There’s only so many “planets” you can create on the fly. I like using Atelier Free Flow Artists Acrylics (a relatively new product). Paint that has maximum pigment loading like this is the best product for splattering with acrylics. (Also, the Free Flow is almost the perfect consistency straight outta the bottle). If however, you’re after a more “vigorous” and more “splattery” effect, keep your brush quite loaded, and if you don’t want the colours to bleed together too much, make the consistency thicker. If you want them to blend, add a little bit of medium or water. The consistency of cream is roughly what you’re after here. As far as build goes, the flatter the finish, the thinner you want the paint. If you are painting a granite effect, you may wish to eventually end up with a very flat, almost polished effect. Thinning the paint with a gloss varnish will allow the paint to dry back nice and flat, and still adhere to the surface beneath. Lots and lots of luscious layers. If you want even more texture, try adding an impasto gel to your paint mix. Splattering with acrylics sounds kinda messy. The truth is though, you can actually have a lot of control over it. Try experimenting with smaller brushes, even toothbrushes (just use someone else’s toothbrush - maybe your worst critic’s). This will allow you to splatter in a very targeted way. Try doing a couple of paintings side by side, and use one as an experiment. Another way of controlling your paint splatters is to place newspaper or something else on the areas of your painting to mask them. While we’re on that subject, I’ve noticed as an artist I was only concerned about splattering paint in the wrong place on my canvas. Maybe a little late to mention - but it’s usually a good idea not to do this in your loungeroom. Find a floor you can ruin in the process, i.e. the backyard! (Or put a drop sheet down). Personally I’ve been having heaps of fun painting waves using this technique recently. And you can get some sensational effects if you can combine this technique with my other water painting techniques. Have fun chuckin paint, and be prepared - you will get it all over you!